iPhone 6 (regular) is 5.44" x 2.64" x .27"
TWO Giant Note Phones fits perfectly, even with a case! Click HERE for Our Size Chart to see if another size would fit your phone better. Has a protective plastic layer sewn into the Cordura on both the front and back side of the phone, protecting the delicate glass screen and preventing bending the phone. The protective plastic layer also helps prevent "buttons" being pushed that make your phone call people on its own! Can you still break the glass? Probably, but it ain't going to be easy! 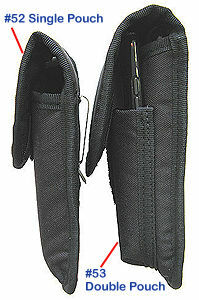 The angled front of the pouch gives you a place to grab the phone to remove it from the pouch. 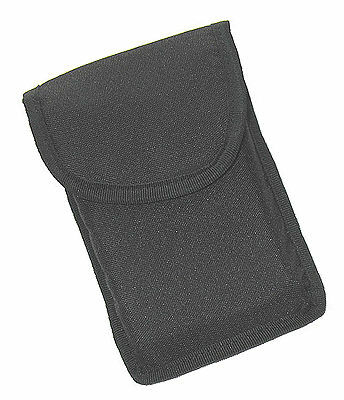 If this pouch seems too deep for your phone, you can stuff a small piece of foam to the bottom with a ruler to raise your phone up so it's easier to grab. 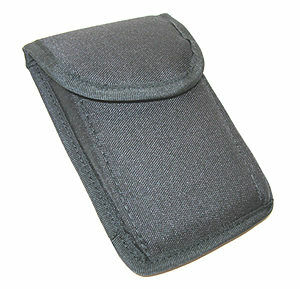 Full flap with Velco protects the phone from getting wet if you are running in from the rain. For touch screen phones like the iPhone, Android or Blackberrys, tell the phone to lock / standby automatically after X minutes. You usually just hit a single button / slide to wake it up when you remove it from the pouch. 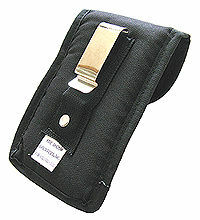 The Police Style Belt Clip ensures that the pouch isn't going to come off your belt or pants! If you're not living a particularly active lifestyle, don't have to crawl around for your job, or you wear expensive suits... This isn't the pouch for you. 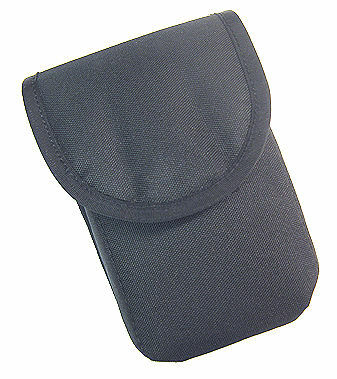 There are much more elegant pouches for the new elegant looking touch screen phones. 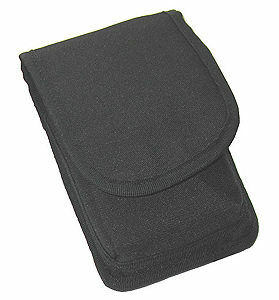 If you've already broken the screen on your touch screen phone, had your pouch fall off your belt onto the floor or into the toilet, or lost your phone off your belt entirely... Buy This Pouch! It's a lot cheaper than replacing your phone again!